The primary goal of any group email system is to reliably deliver email messages to the group members, however as we all know having an email arrive successfully can be more complicated than just clicking ‘send’. What happens if the email address is wrong or invalid, or maybe the recipient’s mailbox is fully or perhaps the email is going into a spam folder? 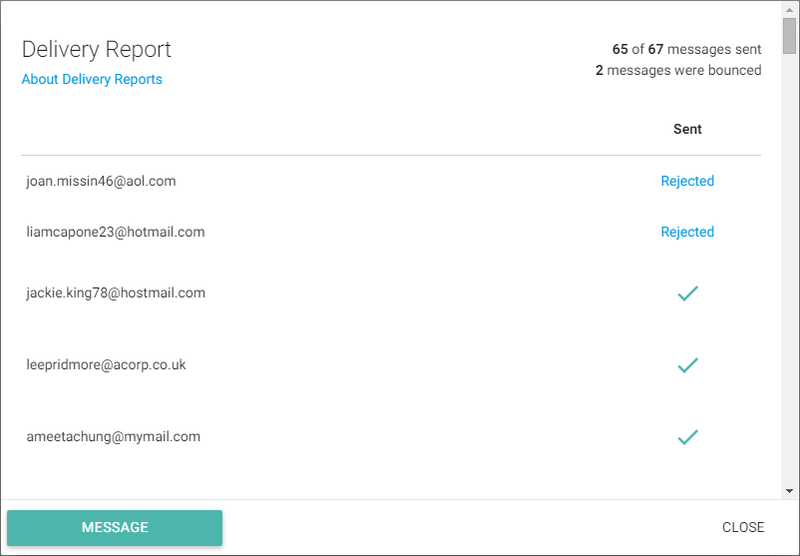 To make managing the delivery of messages simpler Gaggle Mail provides a Delivery Report for every message sent. Administrators can access the delivery report by opening any message and clicking “DELIVERY REPORT” in the bottom left corner. The delivery report shows the delivery status of the message to every member of the group. The list is sorted alphabetically by email address with any members who had a problem receiving the message at the top. If any of the members had difficulty receiving the message you can click the delivery status text to view a detailed Delivery Report for that member. Hard Bounce - This is usually because the recipient email address is wrong or invalid. To fix this try to contact the intended recipient and confirm their email address. 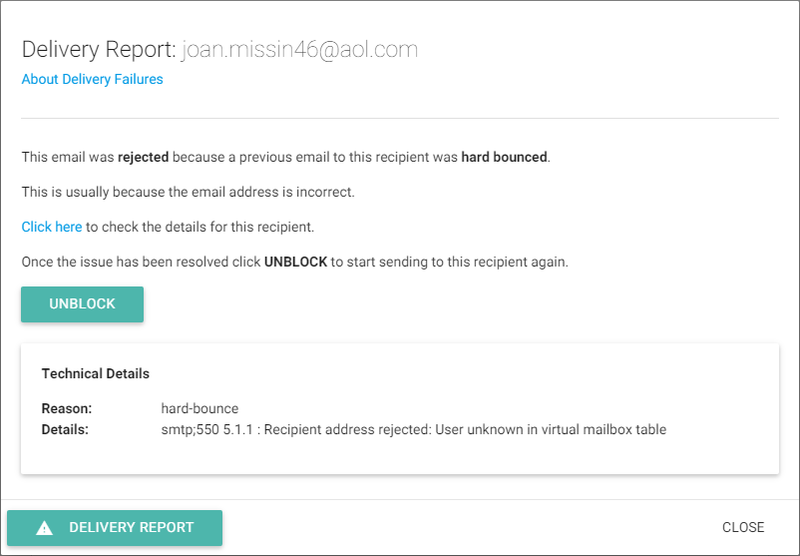 Soft Bounce - A soft bounce occurs when the message is being sent to a valid email address but for some reason the recipient mailbox is unable to receive emails at that time. It could be because the mailbox is full or gone beyond its storage quote. To fix this it’s best to contact the intended recipient and check if they are experiencing any email problems. Spam - A message will be returned as spam if either the recipient intentionally marked an email spam or their email program automatically adjudged an email to be spam. In this case contact the recipient and get them to either find the email in their spam folder and mark it as ‘Not Spam’ or have them add your group address to their address book. Rejected - Emails will be rejected if a previous email to the same recipient failed to be delivered for one of the three reasons above. This is to ensure emails are not repeatedly sent to recipients which are unable to receive them. Note: Once the root cause of a delivery failure is resolved you should click UNBLOCK to make sure further emails sent to that recipient are not rejected. If you do continue to have delivery problems to any of your group members please contact us at help@gaggle.email where we will be happy to help.